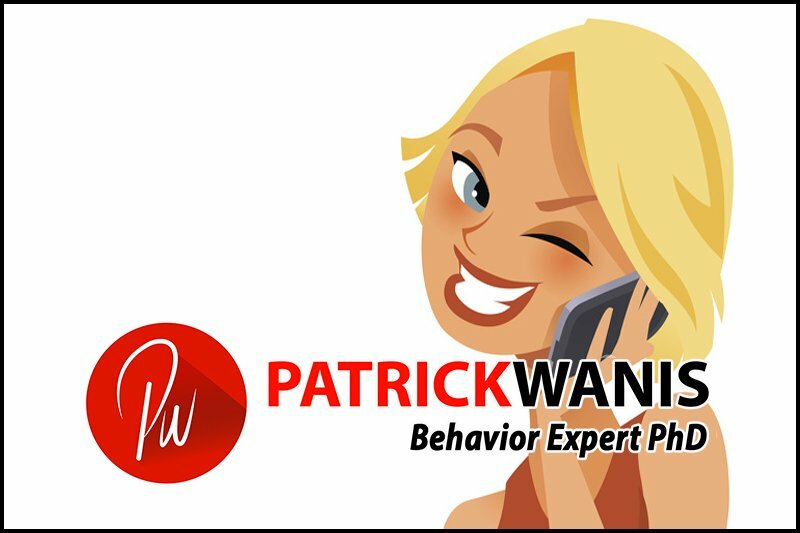 Aug 4, 2018 /1 Comment/in Patrick in the Media /by Patrick Wanis Ph.D.
Co-living means adapting to another personality for your mutual benefit. Living with someone who is unlike you isn’t just great for a compatible roommate relationship (finally that “opposites attract” thing makes some sense), but it’s also an awesome way to learn more about yourself. Whether your roommate is a self-proclaimed extrovert or they have some obvious extroverted tendencies that don’t quite match your more introverted ones, you can still find harmony at home. Our experts break down what you need to know to co-live peacefully with an extrovert roommate. But the hallmark trait of an extrovert is their tendency to feel their best when surrounded by people — a complete opposite to their introverted counterparts, who regain energy in solitude. In the same vein, social relationships are also very important to extroverts, says hypnotherapist and self-proclaimed extrovert, Lainie Naugle. Surrounding herself with friends can be the perfect pick-me-up on a rough day. But don’t be so quick to assume your extrovert roommate is going to be hosting parties every day. Extroversion falls on a scale, and an extrovert may sometimes feel more introverted. Wanis says there are different extroverted personalities, such as the “talker” and the “doer.” The talker seeks praise, while the doer seeks power. Talkers want to be the center of attention, are great storytellers and always have something to say. They also tend to make light of serious problems. Doers tend to be great leaders and love to tell people what to do and how to do it. While they may love to be the center of attention, one common misconception about extroverts is that they need constant attention. They aren’t “on” 24/7 and also need some down time. And even though extroverts exude confidence through their outgoing personalities, it’s important to remember they’re not immune to hurt feelings. Naugle admits it’s a challenge not to take it personally when someone doesn’t want to hang out. Another very common misconception about extroverts is that they can only get along with other extroverts, Wanis says. But while an extrovert can get a “buzz” from spending time with other extroverts, it can also be draining and lead to competition — in fact, it’s one of the main reasons extroverts and introverts make great roommates. “If you put two highly extroverted people together, they’re going to be competing for attention. One or both of them are going to want to be the boss,” Wanis says. Respecting your extroverted roommate means accepting that their needs may be different from yours. They might need to come home and tell you about their day, then turn on the TV and invite friends over to unwind — so be a friend, and humor them. But while you’re trying to be a good roommate, you should know it’s also totally OK (and recommended) to pay attention to your own needs. “If they’re around when you need space, the best way thing to tell them is, ‘I just need some time to myself right now, but let’s grab a bite to eat later?’” Naugle suggests. And who knows, eventually you may find yourself rubbing off on each other and developing skills you never had before? Even though they’re talkers, extroverts also tend to beat around the bush when discussing something important, Naugle says — something that could seriously get in the way of a co-living situation, unless you’re upfront about having clear communication. Know that extroverts who are doers will tend to dominate and make all the house — which is fine if you can both agree. But the best thing to do, Wanis says, is to make the rules together so you get a say from the beginning. Good communication requires knowing yourself as well. If you have a quieter personality, be clear about what you don’t like and also what you need and what you’re willing to be flexible on. For example don’t say, “I don’t like loud noise” when you can say, “I need peace and quiet,” recommends Wanis. Then you can make the rules together based on your respective needs. For example, Mondays, Tuesdays and Wednesdays might be “no visitors days,” while visitors are fine on other days. “It’s not just about understanding other people that leads to successful relationships; it’s also about understanding yourself,” Wanis says. Ultimately, empathy and mutual respect are what holds every co-living relationship together, so avoid putting your needs first — regardless of where you fall on the introvert-extrovert scale. Either way, you should be ready to step back and make some compromises for the benefit of your relationship. “Yes, your priority may be your social life, but you can’t push your responsibilities aside at the expense of the person you live with,” Naugle says. Live with an extrovert? Drop us your tips on how you make your relationship successful below!